British actor Daniel Craig has become the only actor to win awards for his role as James Bond, but that’s not all he can do. No one would've guessed the young man that failed countless auditions in London would rise to embody the world's most famous secret agent, James Bond, but that's what Daniel Craig did. Nine years and four movies later as 007, the 47-year-old who played rugby as a kid has become an award-winning A-list Hollywood darling. He's also the only actor to ever receive a BAFTA nomination and to win an Evening Standard British Film Awards for a role as James Bond. He's a fierce James Bond and an action lover, which might explain why his latest 007 flick, "Spectre", sent him to the hospital during filming. He injured his knee and had to undergo surgery, which went well and ended up being just a minor setback. But it shows how much commitment Daniel Craig puts in his art, something that was painfully earned since his teenage years. In fact, he left his native Liverpool to attend the National Youth Theatre, at age 16, working in restaurants to get by. He failed auditions like there was no tomorrow and only in 1988 was he accepted at the Guildhall School of Music and Drama, which kickstarted his eduction in the art he loved so much. His first movie role was a sergeant in "The Power of One" in 1992, same year of his failed marriage with actress Fiona Loudon (they divorced in 1994). After minor parts and theatre productions, he was cast for the television series "Our friends in the North" in 1996, which turned out to be an extremely successful part. By the end of the 90's, role after role, he started to focus more on films than tv, which explains the rather odd appearance in "Lara Croft: Tomb Raider," that he later considered to have been a waste of time. The real breakthrough came with Sam Mendes' "Road to Perdition", alongside Paul Newman and Tom Hanks, followed by eight movies - including "Munich" - before his first 007 film, "Casino Royale" in 2006. He beat Dougray Scott and Clive Owen to the part and caused quite a stir for one particular physical characteristic: he's blonde. There had been no such thing before and die-hard Bond fans were outraged. Interesting enough, the movie smashed all Bond films box office records and brought in £400 million. Of course, by this time the sensationalist press had already been all over his romantic life, after a split from actress Heike Makatsch in 2004 and rumours he was dating celebrities like supermodel Kate Moss and Sienna Miller. He endured the bitterness of fame around his love life until 2007, when he proposed to executive producer Satsuki Mitchell - which he later left before the wedding. He ended up marrying actress Rachel Weisz in 2011, opting for a secret ceremony. He refuses to let James Bond define his career, which is why he's been doing a lot of diversified roles - from Mikael Blomkvist in "The Girl with the Dragon Tattoo" to narrator in "One Life." As for "Spectre", the release date is November 2015. James Bond is back but will Daniel Craig reprise his role as 007? Craig apparently to play Bond again in 2019 say those on the insiders list. Who will be the new 007 agent after Daniel Craig? Fans of 007 have an opportunity to buy rare film memorabilia as Christie’s host “Spectre – The Auction”. 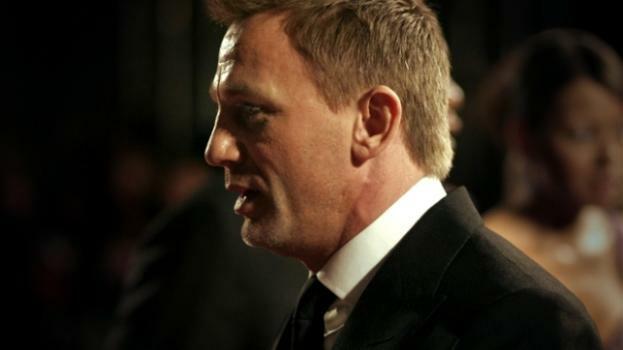 Glitz and glamour for the premiere but will ‘Spectre’ be Daniel Craig’s last Bond film? After the royal premiere of his latest 007 outing, the debate rages on as to whether there will be a new James Bond next time out.